Σχεδιασμένο για ταξίδια τόσο επαγγελματικά όσο και διασκέδασης, το Paasook Resort είναι ιδανικά τοποθετημένο στη Τον Σαϊ, μια από τις διασημότερες περιοχές της πόλης. Από εδώ, οι επισκέπτες μπορούν να έχουν άμεση πρόσβαση σε όλα όσα η πόλη έχει να προσφέρει. Με την βολική του τοποθεσία, το ξενοδοχείο προσφέρει εύκολη πρόσβαση στους προορισμούς της πόλης που πρέπει οπωσδήποτε να δείτε. Με τις υψηλού επιπέδου υπηρεσίες και την μεγάλη ποικιλία ανέσεων, το Paasook Resort δεσμεύεται ότι η διαμονή σας θα είναι όσο πιο άνετη γίνεται. Μια επιλογή από εξαιρετικές ανέσεις όπως τα αυτόματο πλυντήριο, ασύρματη σύνδεση Wi-Fi σε δημόσιους χώρους, εστιατόριο, ξεναγήσεις, καταστήματα στο ξενοδοχείο σας περιμένουν στο ξενοδοχείο. Τα δωμάτια του ξενοδοχείου έχουν διαμορφωθεί προσεκτικά ώστε να παρέχουν υψηλό επίπεδο άνεσης και την ευκολίας. Σε κάποια από τα δωμάτια, οι επισκέπτες μπορούν να βρουν επιπλέον μπάνιο, επιπλέον τουαλέτα, πετσέτες, σύνδεση internet (ασύρματη), μπαλκόνι/αίθριο. Το ξενοδοχείο προσφέρει μερικές μοναδικές ευκαιρίες ψυχαγώγησης όπως οι κανό, ενοικίαση εξοπλισμού θαλάσσιων σπορ, ψάρεμα, σολάριουμ, κήπος. Ανακαλύψτε ένα ευχάριστο μείγμα επαγγελματικών υπηρεσιών και μια μεγάλη ποικιλία ιδιαίτερων χαρακτηριστικών στο Paasook Resort . Everything is good, a must if you are a climber. Be noted for the wet air here. There is no AC, but cool at the night. I had my the worst accommodation experience ever in this bungalow! The room and bed looked nice when I got there. It was dark as there is electricity only between 6AM and 6PM. The room looked clean, bathroom is rustic with cold shower but that is ok. There was a mosquito net with many holes. Then I went to sleep and realised THE PILLOWS WERE COVERED IN MOLD COVERED WITH CLEAN PILLOW CASE !!!!!! There were also bed bugs scrolling around. I did not sleep that night and left at 5AM (I booked 2 nights). No money back of course. DO NOT STAY IN THESE BUNGALOWS !! YOU'VE BEEN WORN. Dear Sir, Sorry to make you disappointed. We try to fixed the problem. One thing that need to tell you and someone who see this commend is the electricity turn on all night from 6 PM. till 6 AM. not 6 am. To 6 pm. if like you said it's mean we turn on power in the day it is incorrect. Thank you very much. The location is great! The room was simple but good. Be careful with the open door: monkeys come in and steal things - and lots of mosquitoes! The bathroom is rather rustic: cement floor, no drain (there was hole in the floor, but the bath water was accumulated) and no hot water. We were charged 400 THB by Agoda, then we saw a couple checking in directly in the front desk for the same room as us, but for 150 THB. There's only electricity from 6pm to 6am (though that seems to be the same for all Ton Sai). The beach is fairly close and there are restaurants and minimarkets nearby. Fruits fall down from the trees everywhere, so you might get a strange smell, though it's only the rotten fruit on the ground. The staff is very kind and helpful. 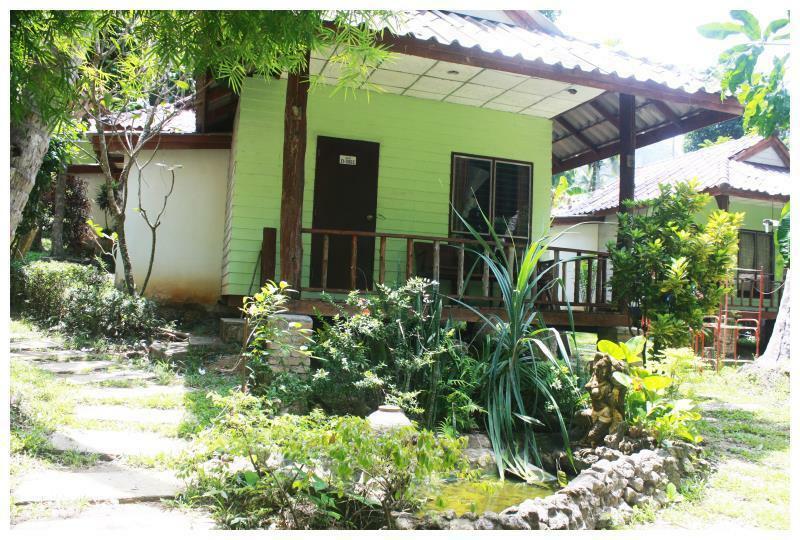 Very good option if you're looking for a nice place to relax in Tonsai, with a cheap price. Cold shower, electricity just for the night, wifi just around the recepcion, really in the middle of nature, which include monkeys and all kind of insects, but this is Tonsai. Rooms quite ok. Lovely people, staff and guests. Would recommend a relaxing area to take a nap/relax after lunch, for example. Probably will stay here again in my next time. in the room were cockroaches and evidence of sone other animals, however personnel was very supportive and provided us clean and better accommodation. thank you for your hospitality. Look, this place isn't swanky or anything, but for Tonsai it's fairly nice and a pretty good value. The biggest part of this is that you need to realize that standards on Tonsai are different than elsewhere. You have to have dirtbag climber/dirty hippy tendencies to enjoy Tonsai. If you don't you'll probably be unhappy with Tonsai in general, much less Paasook. Yes, there are going to be crawly bugs in your room. Yes, it's dark/dungeon-like in the bungalows. Yes the blankets are ehh. Yes the beds aren't the best. Yes the mosquito nets over the beds have some coin-sized holes. Yes the water is not drinkable. Yes there are quite a few mosquitos. Yes you shouldn't swim in the ocean because there is raw sewage going straight out into the bay. Yes the electricity only runs from 6pm till 6am. Yes the water is cold and the toilets have a propensity to clog. But, these things are all standard for Tonsai, and in fact the Paasook bungalows are better than the rest of the options for about $10usd per night. 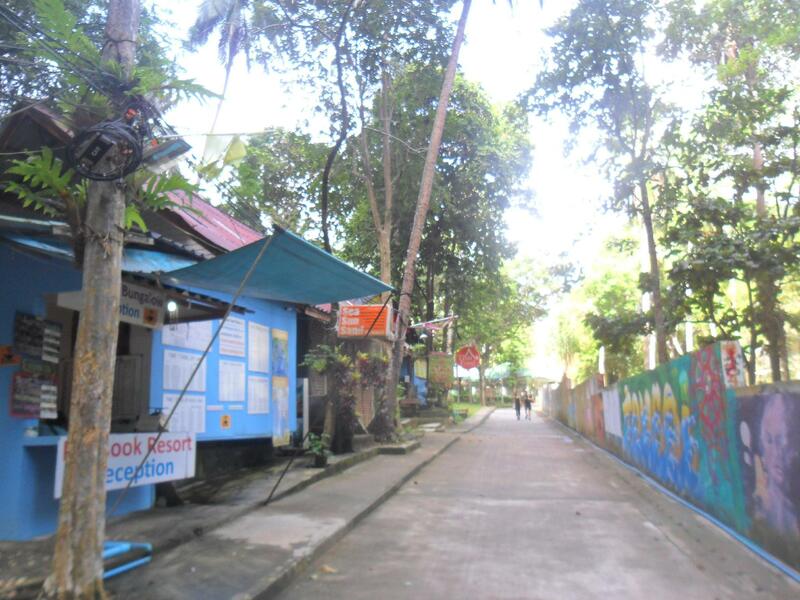 Basically, Paasook has two types of bungalows - blue wood bungalows and orange concrete bungalows. The blue ones are quite nice, the orange ones are passable. The blue ones are middle/upper range for lodging in Tonsai. The orange ones are fairly cheap (but not the cheapest). I would say that the orange bungalows are better than the other options at the same price. Andaman is a slightly better location and has a better common hangout area, but the bungalows there are much less nice. The other cheap bungalows are mostly further up the forest road. Pro tip - book a night in Paasook so you have somewhere to stay when you get there, then pay for a week at the weekly cash price, which is much better price per night. Also, if you want to avoid "Tonsai Tummy", then DO NOT swim in the ocean. You're swimming in raw sewage. The restaurants here are not typically the source of Tonsai Tummy. 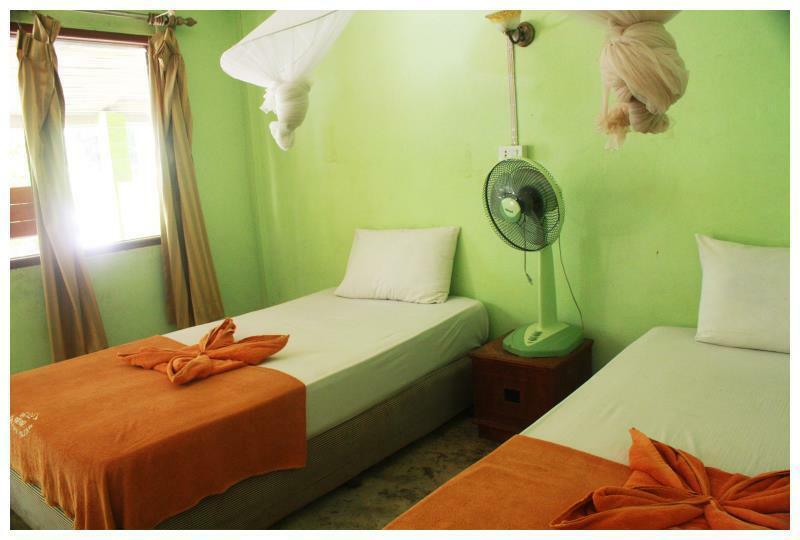 Although we couldn't find any review or comments about the resort while looking for a place to stay in Ton Sai we decided to book a bungalow of the Paasook Resort. Finally we were pretty confident with this choice since we really liked our simple but nice little bungalow which had a comfortable bed with mosquito net, ventilator, a little bathroom and terasse with bank and table. Electricity was available from 6 pm to 6 am but wifi only worked in the common chill area at the entrance of the resort. There is also a little shop as well as a bookshelf. The staff is very friedly and helpful. We would definitely come back! In Anbetracht dessen, dass in Tonsai beinahe alle Resorts etwas zurückversetzt angelegt sind, bietet Paasook für Reisende, die es auch "einfach" mögen genau das richtige. Toilette mit Spülung, Dusche sauber, gute Lage zum Strand, supergünstiger Preis, nette Anlage, nettes Personal, Wäscheservice und Reisebuchung. Frühstück, Mittag- und Abendessen haben wir in den nahegelegenen Restaurants genossen. WiFi könnte etwas mehr Power haben, sodass auch in den hinteren Bungalows der Empfang noch klappt. Alles in allem waren wir in Paasook rundum zufrieden. als alleinreisender war mir der "simple room" etwas zu basic für den preis. die bungalows sind besser, aber kosten dementsprechend mehr. das kleine zimmer war mir zu dunkel und im badezimmer war es ständig nass und vom vielen stehenden wasser kalkflecken + großflächige weisse kalkablagerungen. es gibt auch keine ablage für kleidung, kein regal, kein stuhl, kein schrank. das leben aus dem koffer ist eher mühsam dann. ich hab dann schlussendlich auf einen bungalo upgegraded und bin nur eine nacht geblieben. für meine freunde als familie unterwegs war es aber perfekt. es gibt kletterwände direkt neben dem resort. Proche des falaise a l'ombre l'après midi. Ideal pour grimpeur faineant qui se leve tard. Nous avons pris un bungalow avec lit double et salle de bain. La chambre est vraiment précaire et nous avons retrouvé des petites bêtes dans le lit...draps pas très propres. Crapaud dans la salle de bain et nombreuses bestioles qui vadrouillent.